Dress your little darling in these adorable princess shoes that perfect for any dressy occasion! Featuring a round toe, low heel, encrusted iridescent rhinestone with glittering mesh upper, T-strap with buckle closure and stretch bend for better fit. Finished with low heel and padded footbed for comfort wear. 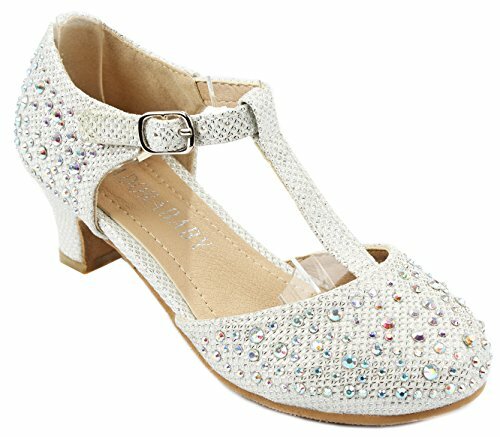 Features: Round toe, low heel, encrusted iridescent rhinestone with glittering mesh upper, T-strap with buckle closure and stretch bend for better fit. Finished with low heel and padded footbed for comfort wear.